Delightful bow-shaped earrings with a tiny 2mm Diamonlux™ cubic zirconia on the end of each bow. 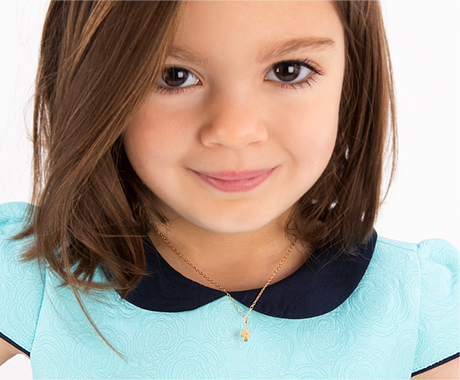 Tied with a bow, your little angel is truly a gift! The size is perfect for my baby girl. Precious little bow earrings for my granddaughter. Amazing quality (sterling silver) with the screw back post. Enjoy buying from Tiny Blessing with lots of choices for all ages.